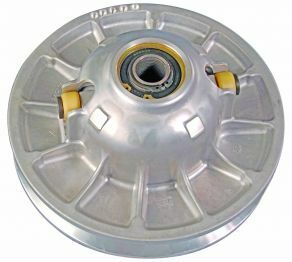 When it comes to continuously variable transmissions, or CVTs, TEAM Industries is an undisputed expert and world leader. TEAM has supplied CVT components and assemblies to original equipment manufacturers (OEM’s) and the aftermarket for nearly half a century. By capitalizing on our manufacturing expertise and vertically integrating, TEAM has become the leading manufacturer of CVT systems in all of North America and the largest CVT manufacturer in the United States. TEAM Industries holds three CVT-related patents, with even more patents pending. 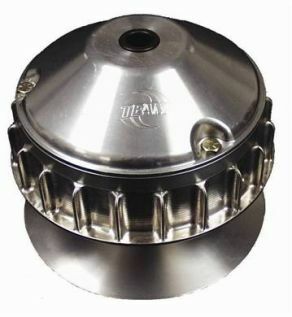 We supply more than 300,000 TEAM clutches to our OEM customers annually, as well as thousands more to retail customers. For more information about TEAM's CVT systems Contact Us. TEAM Engineering has design and application engineers who are solely dedicated to the development and implementation of CVT technologies. By considering a vehicle’s weight, engine type and power, top speed desired, engagement RPM, and other factors, these experts can select or design the best clutch for nearly any application. Then, using the latest design tools (most of which have been developed at TEAM), duty cycles, and bench & field testing, these same CVT experts can also design and fabricate the flyweights, springs, and helixes needed to tune the CVT for optimum performance. Rollers are used instead of sliding elements to reduce drag and increase clutch sensitivity. Critical wear components are designed to provide consistent performance throughout vehicle life. Aluminum components minimize weight and rotating mass.